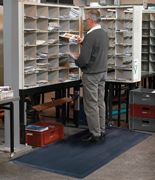 Airug - This competitively priced floor mat is available in nine different stock sizes and three colors. 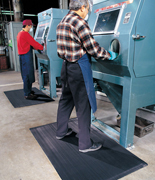 Airug anti-fatigue mats are ideal for applications where simple relief is required at a low cost. 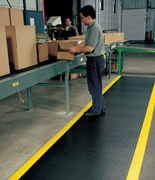 Custom sizes are available upon request. 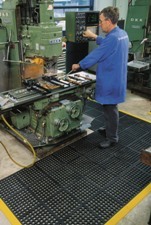 Marble Sof-Tyle - Mat has an attractive appearance and is offered in five unique colors. 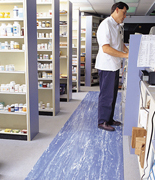 Pharmacies and cashier stations often utilize this floor mat. 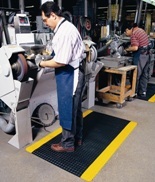 Marble Sof-Tyle mats can be swept clean quickly. 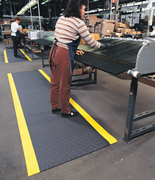 Bubble Trax - Employees love the bubble top surface which provides them great relief. 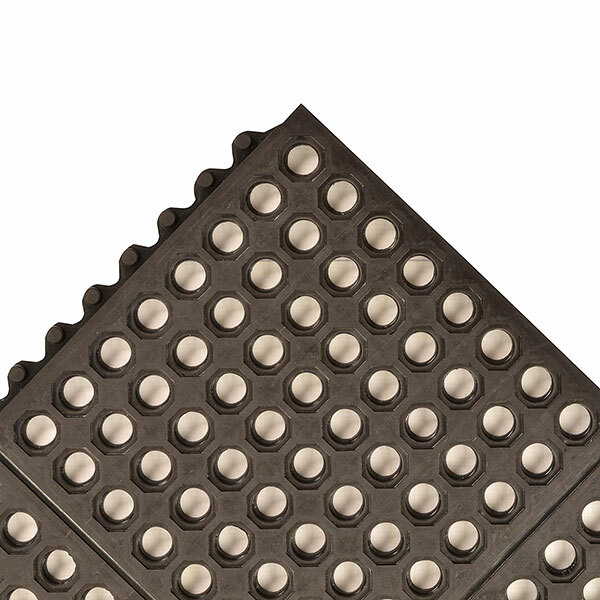 All four sides are beveled for easy access on and off the mat. 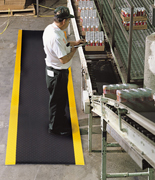 Bubble Trax mats are available in three different colors including black with yellow borders which helps promote safety in your facility. 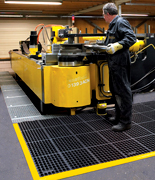 Safety Stance Anti-Fatigue Mat – Manufactured with grease resistant compound which allows this mat to withstand most industrial cutting oils and chemicals. 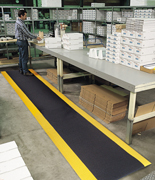 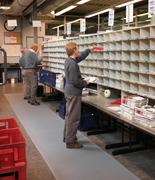 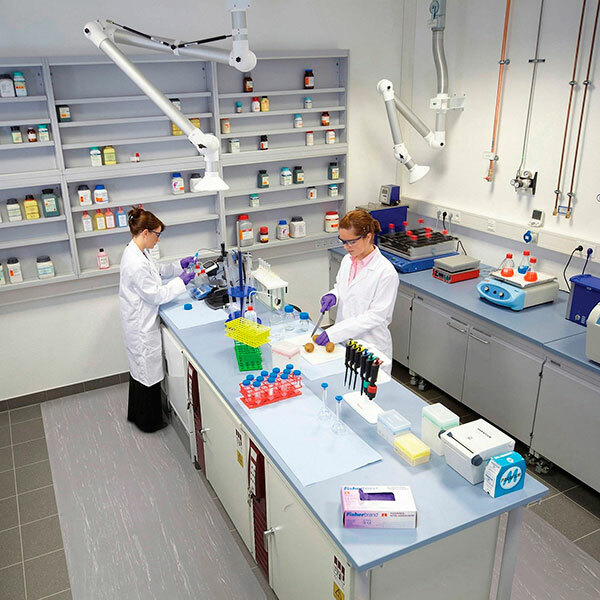 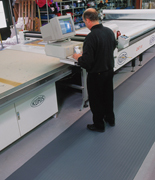 Colored mat borders help provide additional safety for your workers at their workstations. 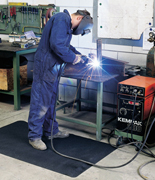 Contact a USA Building Supply expert for information on our full line of entrance mats, anti-fatigue mats, anti-static mats and logo mats or CALL 1.855-373-5381.